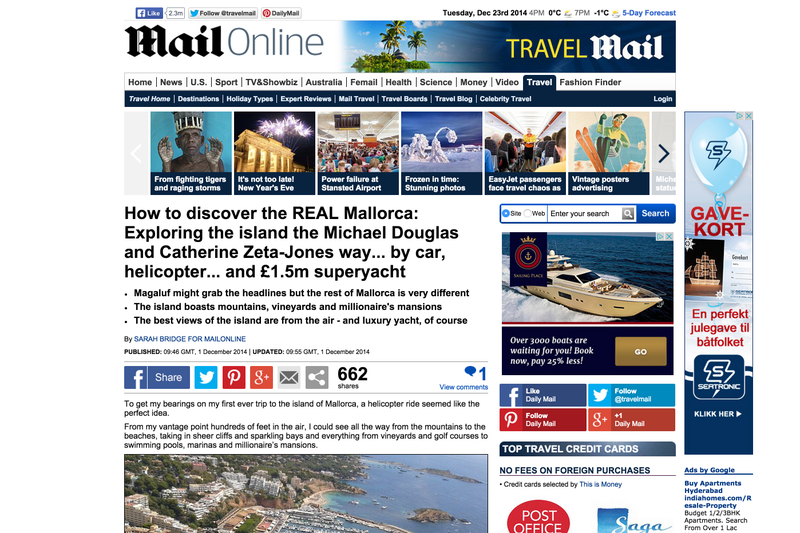 Article by Sarah Bridge on how to discover the REAL Mallorca by car, helicopter and, of course, by boat. Easyboats was chosen for the latter. We took Sarah to the island of Dragonera and the stunning costa norte (northern coastline) onboard our exclusive Riva Rivale 52′ charter yacht. (read the full story here: http://dailym.ai/1tBgefh).